Industrial forest (HTI) concession of PT Toba Pulp Lestari, North Sumatra, 2016. APP has pulped timber from more than two million hectares of natural forest to feed its two existing mills in Sumatra, according to Eyes on the Forest. For many years, the group has been criticized for destroying forest ecosystems, displacing rural communities from customary lands, and contributing to global warming by developing high-carbon peatlands. But APP’s sustainability commitments in 2013 neutralized a global campaign against the company and provided a supportive environment during which it built its new mill. However, there is growing concern that OKI’s mega-scale pulp mill will lock- in a much more expansive resource footprint than APP has had until now. 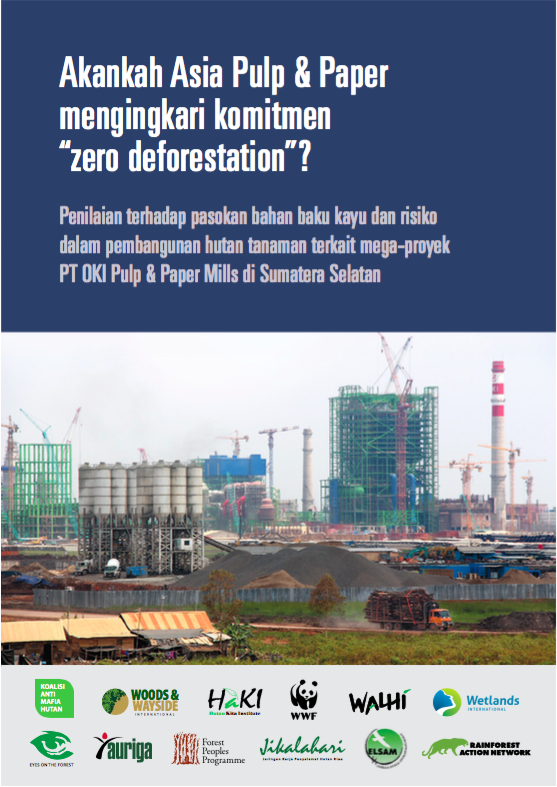 Co-authors: Koalisi Anti Mafia Hutan, Woods & Wayside International, Hutan Kita Institute, WWF, WALHI, Wetlands International, Eyes on the Forest, Auriga, Forest Peoples Program, Jikalahari, Elsam, Rainforest Action Network. Akankah APP ingkari komitment zero-deforestation-nya? 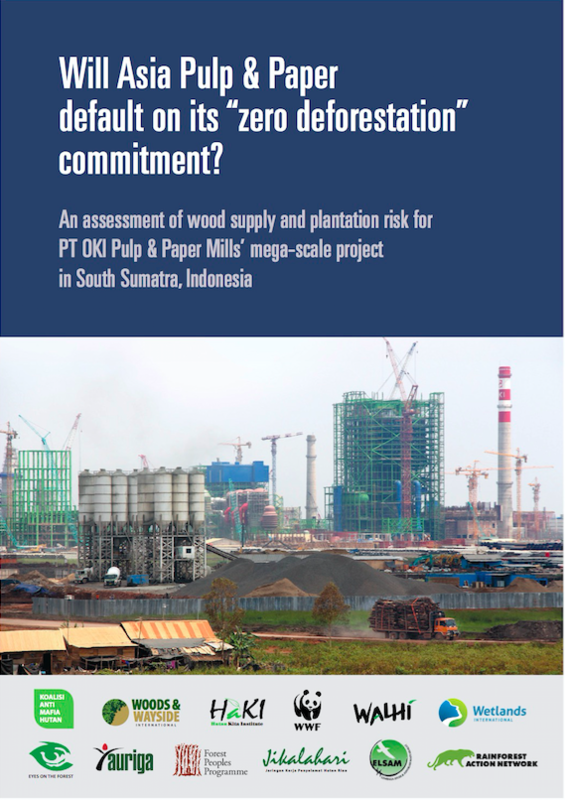 Will APP default on its zero deforestation commitment?